Just like that we are off and running. It’s day one, and hundreds of bills have been introduced, including a number of transportation-related legislation. 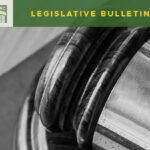 Serious conversations are underway around a potential transportation revenue package by Senator Steve Hobbs, and House Transportation chair, Jake Fey, is interested in a “green transportation” package that would include electric vehicle incentives and electric vehicle and transportation infrastructure. 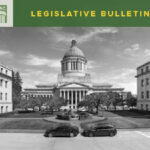 A new year brings many new (and returning) faces to Olympia and the transportation committees. Representative Jake Fey (D-Tacoma) takes over as chair of the House Transportation Committee. Representatives Sharon Wylie (D-Vancouver), Vandana Slatter (D-Bellevue) and Javier Valdez (D-Seattle) will serve as vice chairs. Representative Andrew Barkis (R-Olympia) will serve as the new ranking minority, with Representatives Jesse Young (R-Gig Harbor) and Jim Walsh (R-Aberdeen) will serve as the assistant ranking minorities. 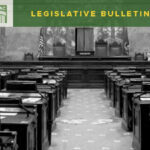 To find a full list of membership for the House Transportation Committee see here. The Senate Transportation Committee also brings with it new and returning faces. Senator Steve Hobbs (D-Lake Stevens) returns as chair of the committee, as well as Senator Rebecca Saldaña (D-Seattle) as vice chair. Senator Curtis King (R-Yakima) returns as the ranking minority, while Senator Tim Sheldon (D-Shelton) will serve as the assistant ranking minority. For a full list of membership to the Senate Transportation Committee see here. 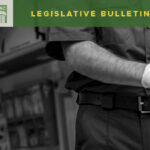 A number of challenges also greet us at the start of 2019, including a court injunction against the state to repair and replace over 800 state-owned fish passage blocking barriers (culverts) in river and stream systems throughout the Puget Sound Region. The cost to address these culverts is upwards of $3 billion. Within this same case area counties own over 3,000 fish-blocking culverts (at an estimated cost of $4.5+ billion). While counties are not included in the court injunction, we recognize the responsibility we and the state have in addressing these barriers together. For example, for every one state-owned fish blocking culvert, there are two culverts downstream, and five upstream. Without addressing the county-owned barriers, fish habitat gain for the state will be limited. Counties have prioritized the fish culvert issue for the 2019 session and are looking to partner with the state for the needed investments to address this complex, and costly, matter. In addition to culverts, counties will be active on other fronts in the transportation world. We will pursue a potential program to swap federal Surface Transportation Program (STP) dollars with state dollars, ask for the ability to utilize unit-priced contracting with public works purchases, and are looking to make small changes to the county forces statute that deals with electrical signals and illumination equipment. These small changes will save your roads and public works departments time and resources. We will continue to advocate for programs and agencies that benefit counties, such as the County Road Administration Board, the Public Works Assistance Account, the Transportation Improvement Board and the Freight Mobility Strategic Investment Board, and will monitor and weigh in on legislation that positively and negatively impacts counties. It’s a long session ahead of us (105 days), so hang on. It’s bound to be an exciting, and at times frustrating, ride.